WordPress is a perfect example of how the web has evolved from static to interactive, a shift driven by our desire to share thoughts and a great opportunity to promote our goods. 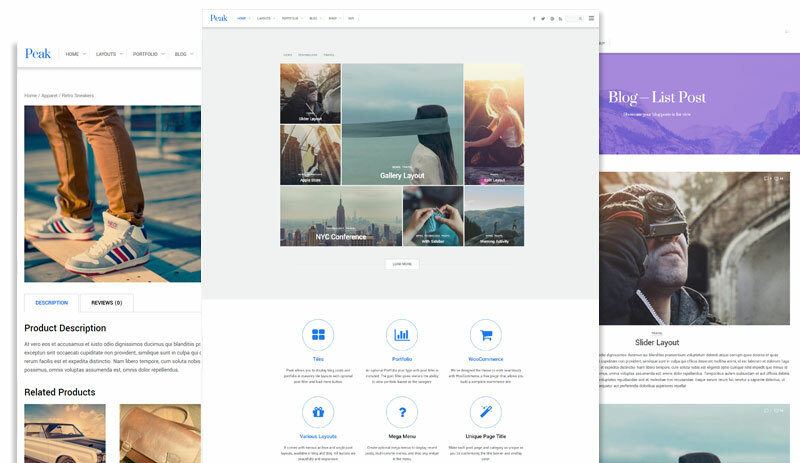 A truly good WordPress theme goes beyond simply looking good to offer solid core functionality and administrative features. There are hundreds of WordPress themes out there, but they are not all created equal. To be truly great, a theme needs to consider both the visitor and the needs of the content creator. 2019 has seen a shift in theme design to more refined style, niche focus and speed, with the highest rated and top selling themes offering a range of layouts, customization and purpose. 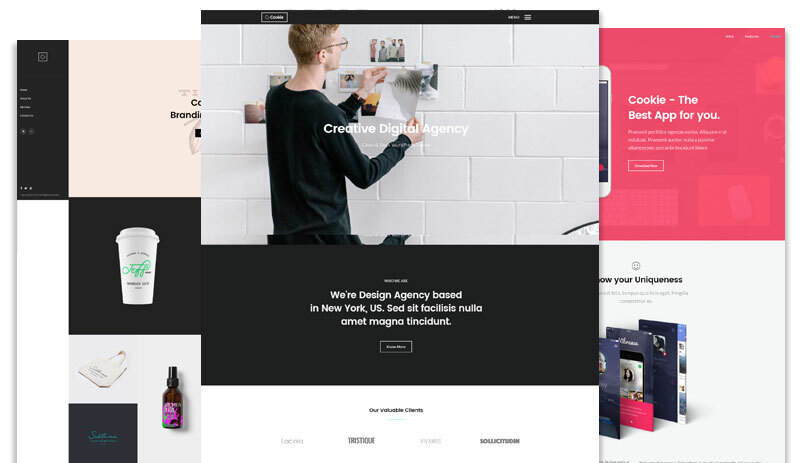 Here are 30 best WordPress Themes of 2019 which embody critical elements like usability, performance, consistency and, of course, beautiful design. Ultra is the most powerful and flexible theme created by Themify. It is centered around a bespoke front-end framework and page building experience, rather than place dependency on 3rd party plugins. Themify handles all of the development in-house, ensuring quality, compatibility, growth and longevity. On the surface, Ultra is a beautifully executed theme full of delightful animations and features including custom fonts, image effects, forms and more than 60 pre-made, creatively designed layouts. Beyond simple page building, it allows you to create custom templates and child themes through a user-friendly interface. It also offers all the advanced features designers could want for taking the theme further and applying the theme to just about any project. Best yet, Ultra comes with free skins and builder add-ons, and access to Themify’s entire catalogue comes at a very competitive rate compared to other premium themes. Eduma is a dynamic, bold and community-building theme for educators and schools of any kind. 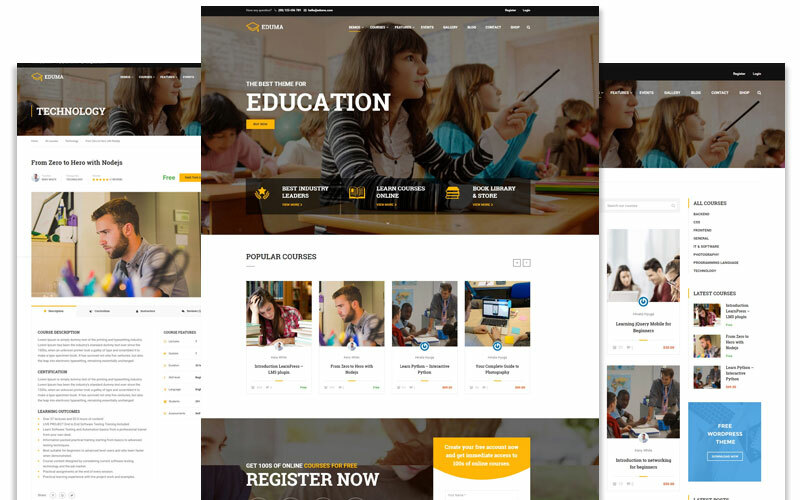 The theme is built around the powerful LearnPress plugin, the #1 free WordPress plugin for building and managing online courses and learning resources. It packs in over $500 worth of premium LearnPress addons to extend it even further. These include drag and drop course building, sales and membership support, commission rates, bbPress integration, quizzes, visual certificates and more. It also includes native support for Visual Composer or SiteOrigins Page builders, events management with booking, BuddyPress, WooCommerce, WPML and RTL languages. Unique features include modern animations, mega-menus, custom media player, and 12+ pre-designed demos to give you a head start. Envato’s Most Wanted contest winner, Consulting hit an in-demand niche with their Finance theme. Based on in-depth research into the field of business, finance and consulting, the authors developed a comprehensive theme using modern coding techniques and include everything a firm might need in a WordPress theme, including charts and graphs, service and case study templates, SEO, WPML support and live preview with the WordPress visual customizer. While the design is conservative and classic, Consulting offers 18 pre-designed demos to start from, multiple header layouts and color schemes and a stand-out map tool for building interactive and informative About or Location pages. 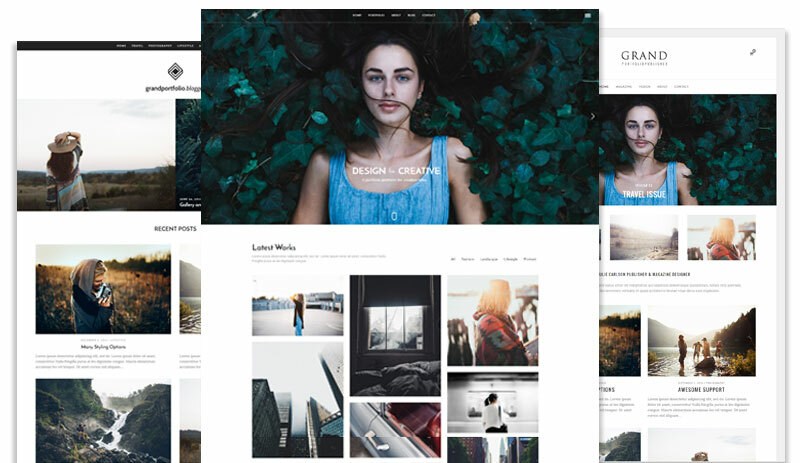 TheGem is a versatile, responsive, high-performance WordPress theme with a modern creative design to suit a huge range of creative uses. In only 6 months since release, the creators have released more than 150 design templates with more than 250 styles. It offers versatile pre-made design objects and page headers, over 20 custom widgets, and integrated support for popular plugins such as Mailchimp, WooCommerce, Events Calendar and more. Like most themes on this list, The Gem bundles Visual Composer and Slider Revolution for an added boost. 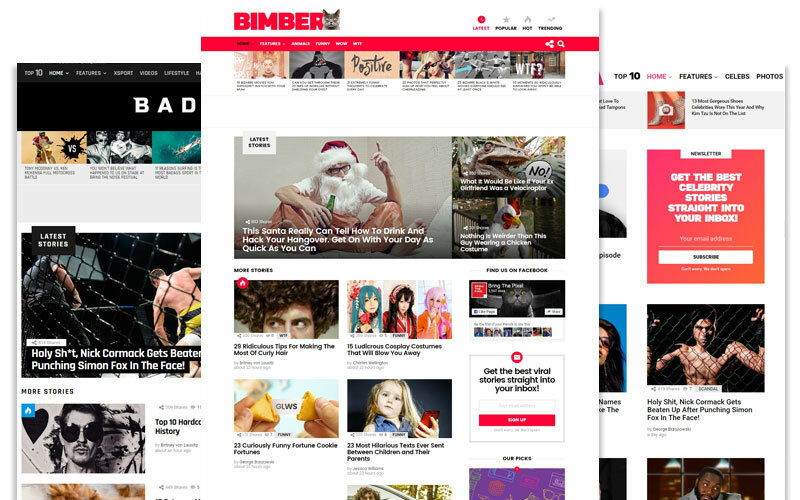 Bimber is the #1 Viral WordPress theme, and possibly the only one that really does what it does. If you’re wondering what makes a theme viral, it takes a traditional magazine style layout and kicks it up a notch by placing the user experience focus on sharing, up-voting and contribution. Think BoredPanda or 9GAG. Centered around the Snax plugin to power user-driven content uploads and submission, Bimber includes reactions, MashShare integration, quick ads, and MailChimp support. Style customization is offered through the WordPress visual customizer for a live preview experience. XStore packs in a powerful set of premium plugins that streamline and simplify the website building experience. This includes the resourceful Visual Composer drag and drop page builder plugin, as well as the Slider Revolution and Contact Form 7 plugins, which make short work of most design tasks. 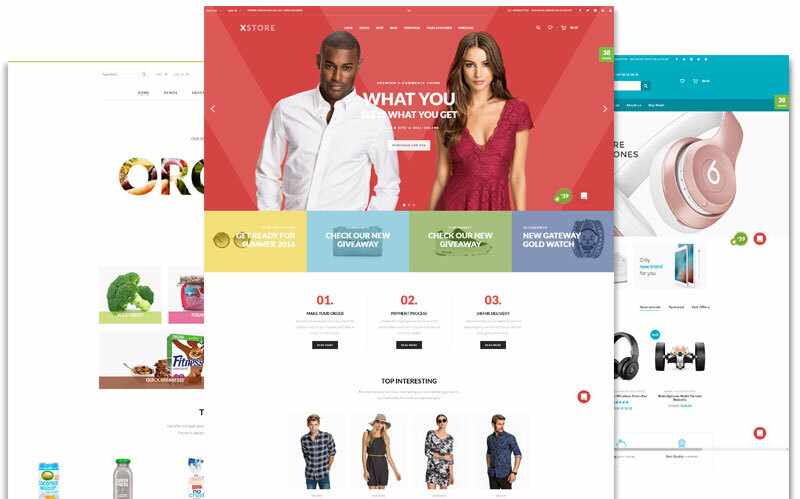 XStore’s generous collection of professionally designed website templates are ready to be imported with a single click, and are packed with innovative layouts for modern stores across any niche. Users love XStore because it helps them market their wares from day one, through a seamless, professional interface. Basel was built to create modern powerful eCommerce websites with a bold, minimalist design. 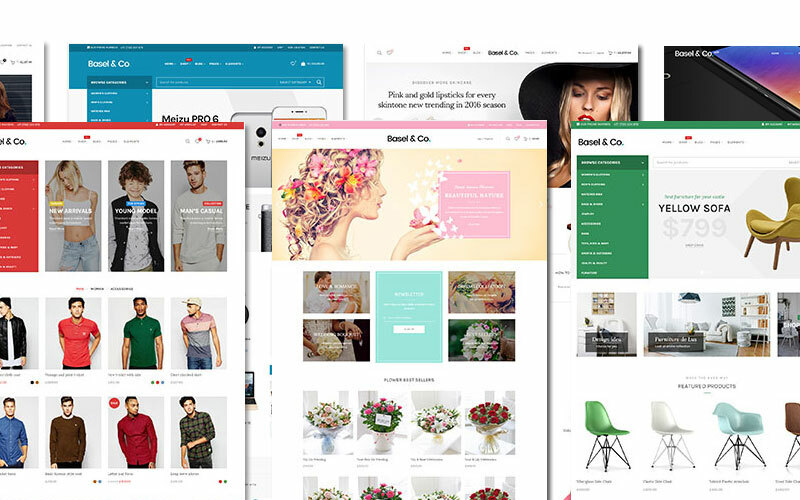 Its functionality is driven by Visual Composer, but offers a host of theme settings and options, to help you create a variety of fully responsive store styles. Their 28 pre-built pages and header layouts come in several styles and colors to give you a head start, and added WooCommerce functionality such as color swatches, filters and subtle animations ensure good customer experience. Music is a theme that brings art to life. Built on Themify’s excellent framework, you can trust it is already flexible, responsive and compatible with a wide range of popular plugins including WooCommerce and Events Calendar. With Music, you can embed a lightweight, custom music player, an album playlist, and even better – full-width video backgrounds! Themify Builder integration means you can create eye-catching pages with any combination of animations, effects, fonts or layout, or start with one of Music’s industry-proven layouts. 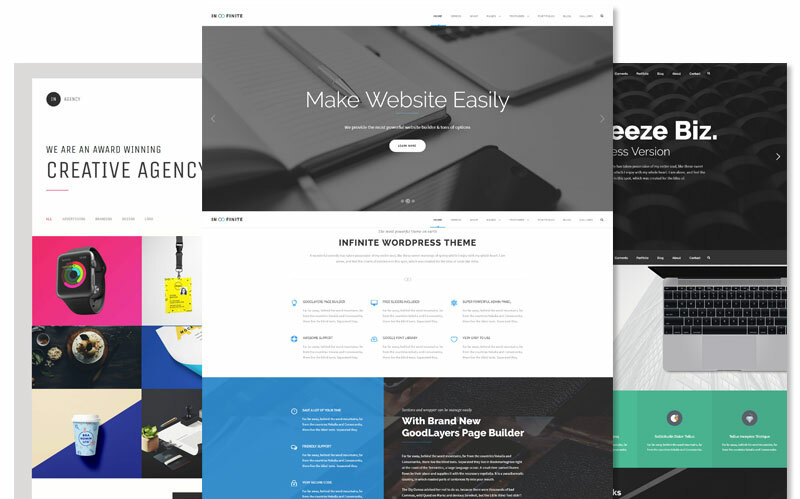 Infinite is a multi-purpose mega theme that checks all the boxes in terms of features and integrations. Unlike themes that use Visual Composer or other shortcodes-based builders, Infinite is built around the GoodLayers building experience which uses live view and in-page editing. It comes with a multitude of pre-built demos and offers a handful of layouts for internal pages including WooCommerce, posts, galleries and portfolios. Infinite’s best feature is its amazing performance, which is normally a huge challenge for themes in this category. 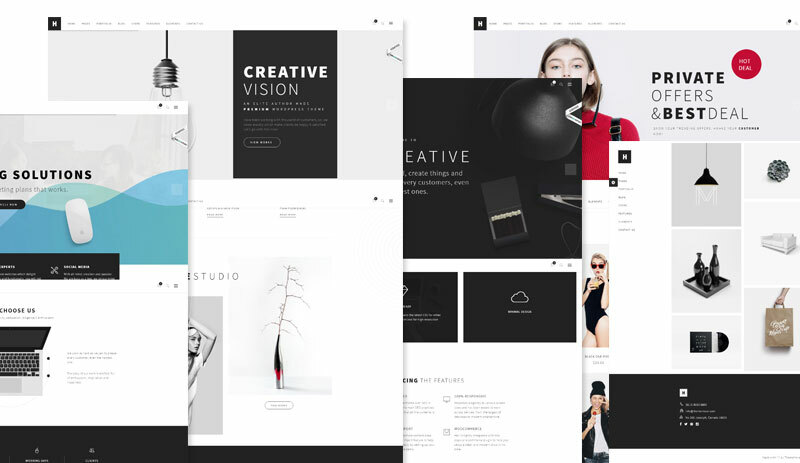 You is a minimal type-driven theme best suited for creative projects, community sites or eCommerce websites that need fast mobile performance. It includes support for WooCommerce and bbPress and comes with six popular plugins for enhanced functionality that allow you to choose what features you need and want installed. It uses the WordPress visual customizer and in-page editing to offer a live view of customization and gives you over 20 pre-built pages covering a wide range of niches and layouts. With over 58 ready-made, business-friendly and creative-minded page layouts, H-Code is surprisingly vast and truly multi-purpose. H-Code’s sturdy codebase is speed optimized and SEO enhanced, making for effective, lightweight websites and is compatible with all devices and browsers thanks to its Bootstrap foundation. In addition to powerful customization and page building, it offers additional blog and portfolio page layouts, post layouts and lifestime support and updates. 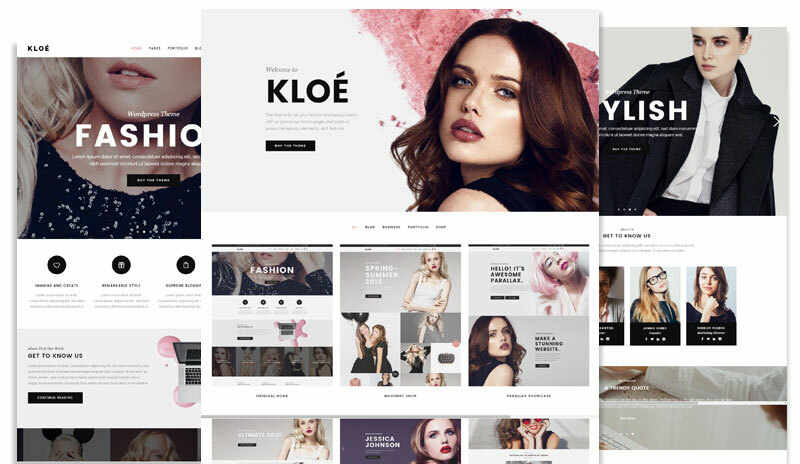 Kloe is a theme for all your fashion and beauty needs, with 14 glamorous home pages and loads of awesome layouts, elements, and features. The design is beautifully crafted with attention to font use and stylistic touches that will give your site an art-directed, marketable and fashion-forward impression. It has full WooCommerce integration and uses Visual composer for customization. Beyond the obvious fashion niche, Kloe creates lovely blogs, magazines and portfolios, too. Grand Portfolio was designed specifically for portfolio and creative sites that desire a refined, minimal design. Rather than packing in a huge number of features you may not need, it focuses on code quality, mobile-friendliness and performance. It it frequently updated to use the latest WordPress technology and supports various popular WordPress plugins for the most mileage. While it doesn’t include hundreds of styles, it offers a high-end professional predefined style perfect for architects, creatives or publishers with one-click demo import and full color and font customization. 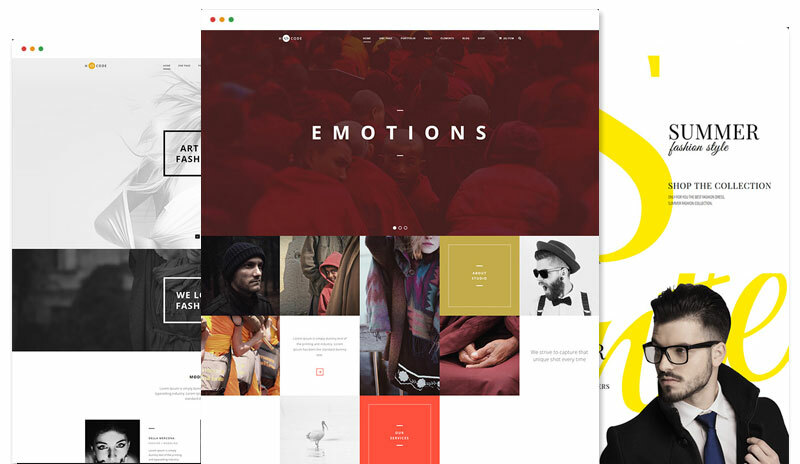 >Bateaux is a creative multi-purpose WordPress theme with a clean, spacious design that lends itself well to story-driven websites using large type and bold visuals. It is built on Blueprint, an extremely fast and light drag-and-drop page builder with a user-friendly, app-like interface. The on-page editing experience includes front-end text editing, helping you save time, double up your workflow speed and offer an uncomplicated customization experience your clients can easily learn. As an added benefit, Bateaux offers some of the more original pre-built layouts you can find in themes on this list. 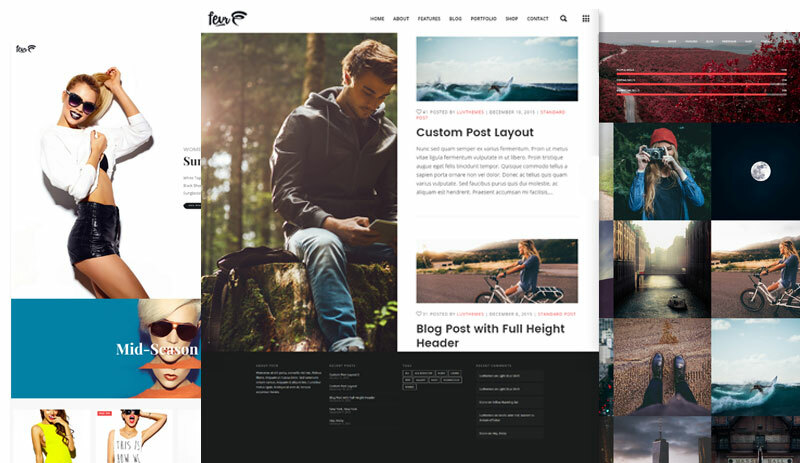 Peak is a modern, grid based WordPress theme, boasting a tiled layout that can adapt to any screen size or device. 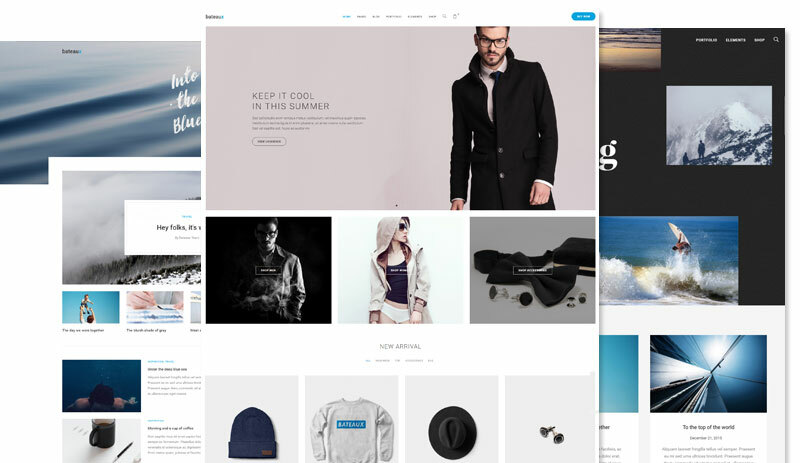 Equipped with the optional mega menu, various post layouts, slide-out widgets, portfolio, and WooCommerce support, Peak is an excellent multi-purpose theme for blogs, portfolios, magazines, and eCommerce sites. Thanks to the feature-rich Themify Builder, you can also create a huge variety of page layouts that inherit Peak’s clean and minimal style. 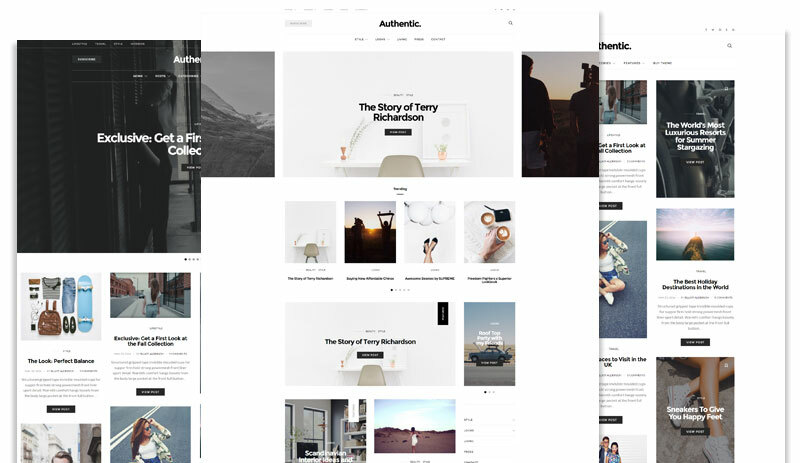 Authentic is a light and minimalist WordPress theme perfect for lifestyle bloggers or magazines. It uses a clutter free, contemporary design and comes with features created to engage readers, reduce bounce rate and improve overall ranking. Customization is done through the WordPress visual customizer, and reliance on third-party plugins is minimized for added speed. There are four post header variants, multiple archive types and numerous gallery types for showcasing content and each post and category can be styled individually for an art-directed approach if desired. Authentic offers truly great social integration and attention to typography for making a content-centered website that is a joy to read. 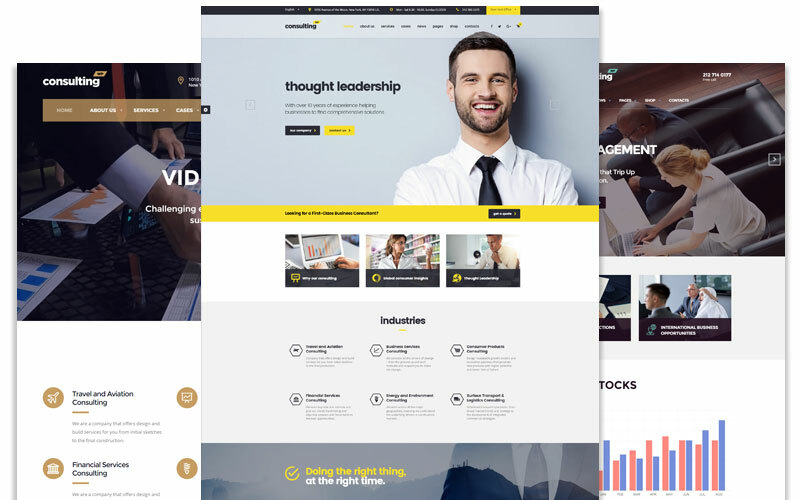 Cookie is a versatile responsive theme with 15+ pre-built layouts and bundled Visual Composer for building any kind of website imaginable. Cookie has been designed and developed from the ground up with great attention to detail that offers a fresh approach to the multi-purpose category. Don’t be fooled by the minimal design, the true magic is in the layout versatility and micro-interactions so be sure to check out the demo. 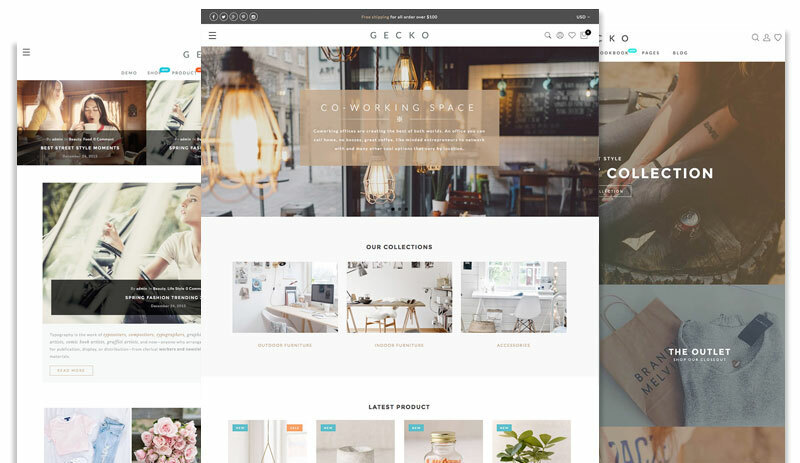 Gecko is an eCommerce theme built for WooCommerce that is similar to Basel, offering complete customization via Visual Composer, added WooCommerce features and pre-built templates. It uses a clean, classic design and sets itself apart from other themes in its category through little things like wishlists, currency converter, checkout page design and overall simplicity. 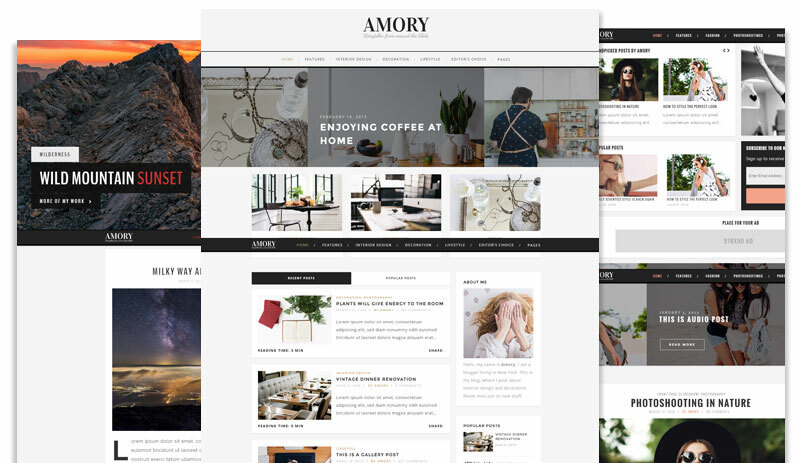 Amory has been one of the best selling WordPress Blog Themes on Themeforest. It has been carefully developed to be a complete solution for creative website projects, magazines or web shops. Everything is included to manage and customize, including Social Media, WooCommerce support, stunning galleries, Ad management tools, and Revolution Slider, integrated with close attention to detail, style and typography that is both elegant and unobtrusive. 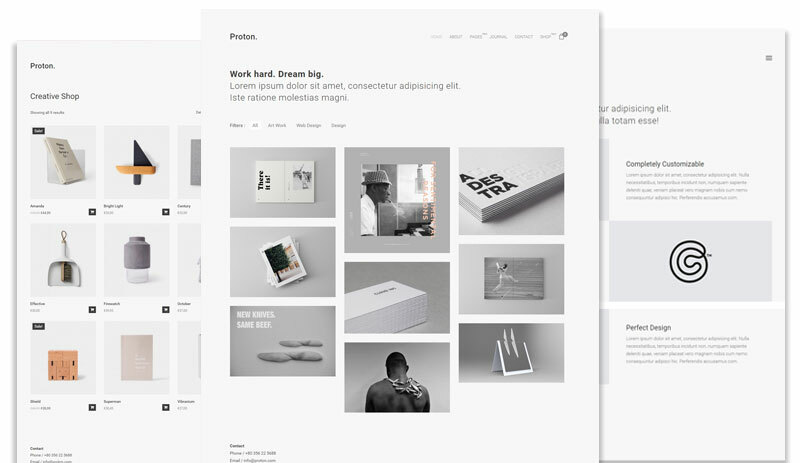 Proton is high-quality creative theme with great style and clean code. You can adapt Proton to just about any website project where an elegant, minimal design is needed. Proton’s most powerful offering is in performance and responsiveness, and is created and tested in all devices for flawless viewing. 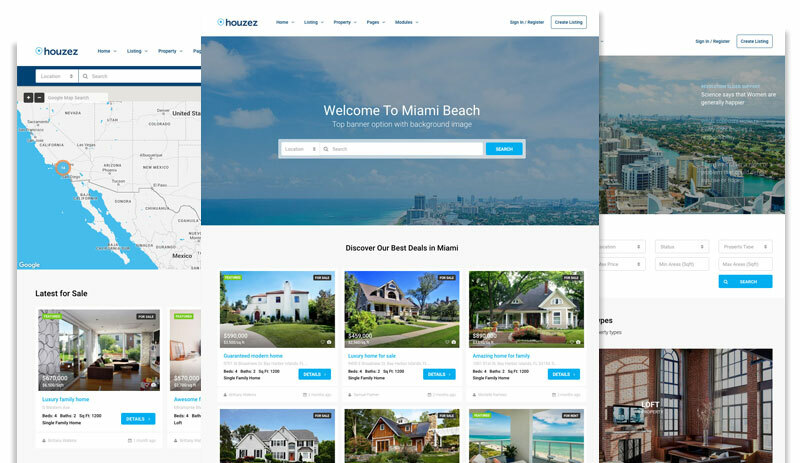 Houzez is a niche theme designed for real estate agents and companies that offers a complete solution front to back. Also based on Visual Composer, if provides custom modules, header options, listings and property templates. This is not a theme that only takes care of the front of a real estate business. This is also a WordPress-based property management system which allows you to own and maintain a real estate marketplace, coordinate your agents, accept submissions. 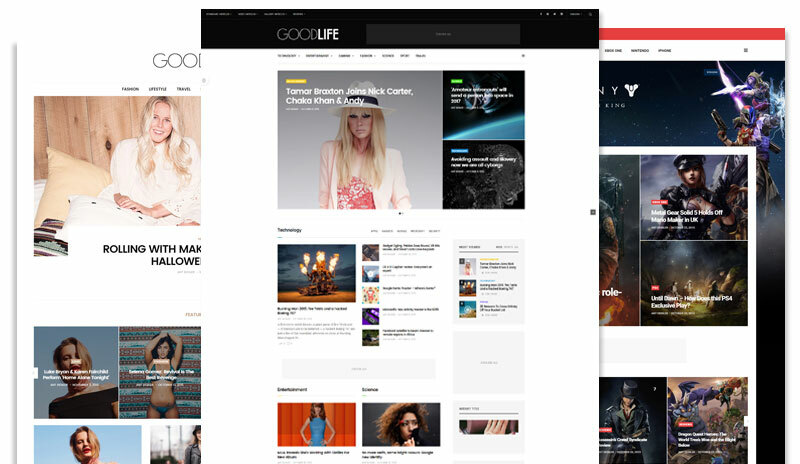 GoodLife has a distinct, modern lifestyle feel that would be perfect for any magazine or content-driven website. The design itself is trendy and clean, using proven layout and user experience guidelines for powerful, engaging delivery of news, blogs and visual content. 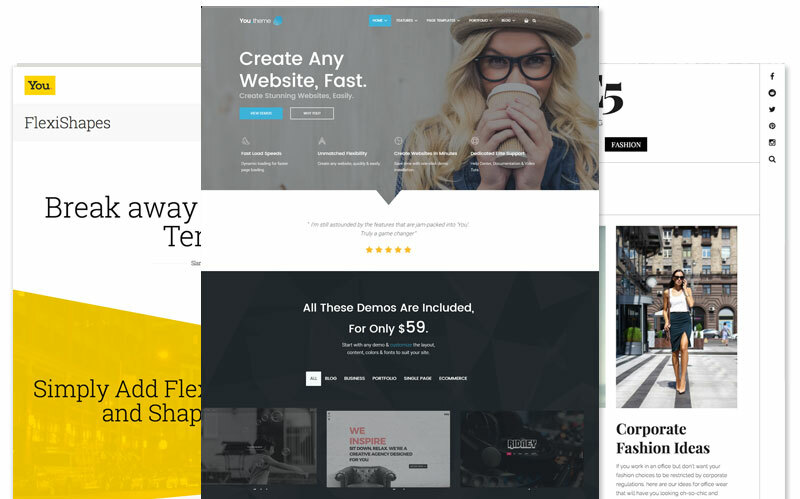 It offers multiple article layouts, theme styles and landing page options to cover everything from gaming sites to fashion blogs. 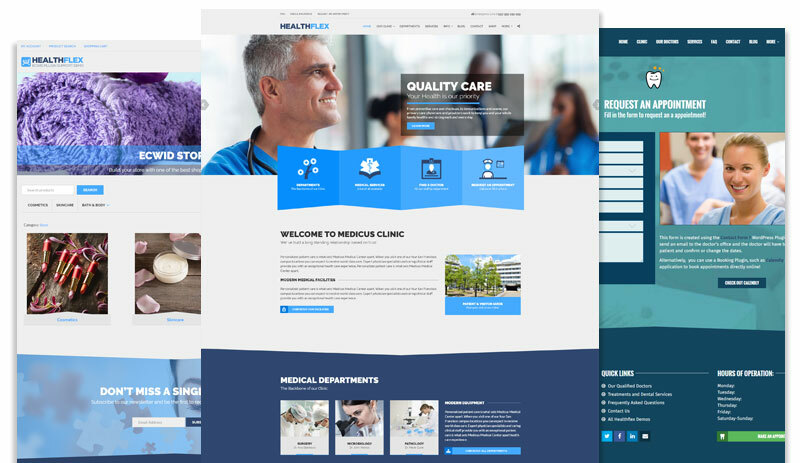 Healthflex features a unique design tailored for the medical health industry. It boasts user-friendly admin features and customization, with five full-site demos aims at various industry uses to get started. Heli is a minimal monochrome theme that uses a fixed and consistent style. 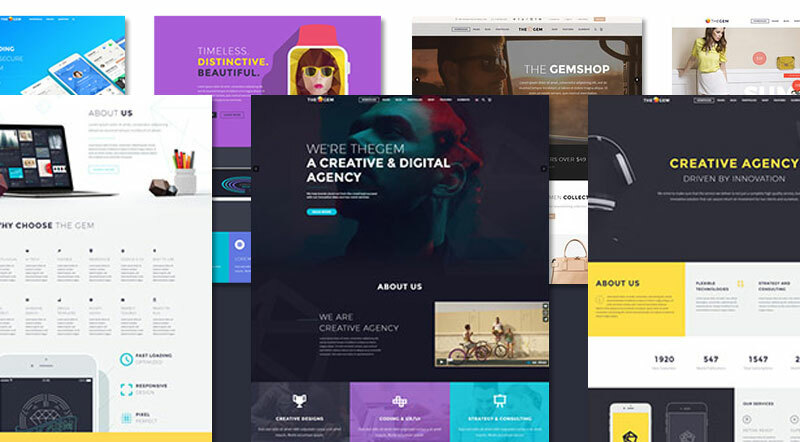 You can create a creative and unique, simple and bright site for any purpose with ease starting from scratch or via one of the 36+ stunning professionally designed page layouts, Heli is ideal for a range of business and art-driven site like fashion stores, photographers, designers or entrepreneurs. 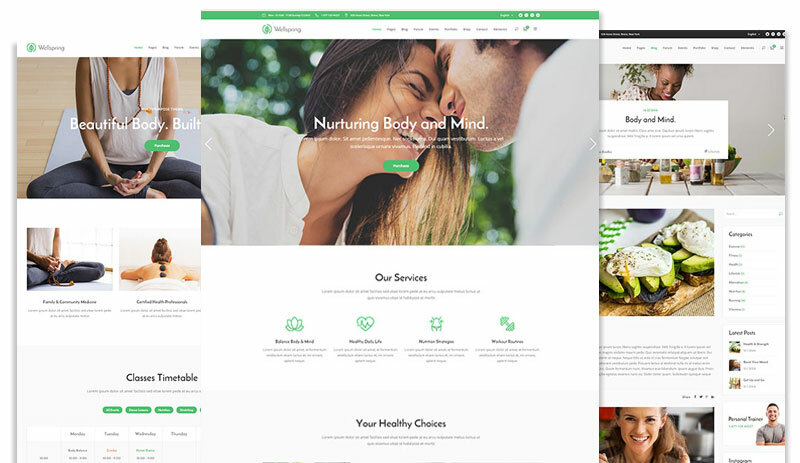 Wellspring is designed specifically for health and wellness blogs, coaching, studio or web shop projects. It uses a niche-appropriate clean design and layout options which are fully customization, and comes with powerful features such as booking, calendars, events management and community-building tools. 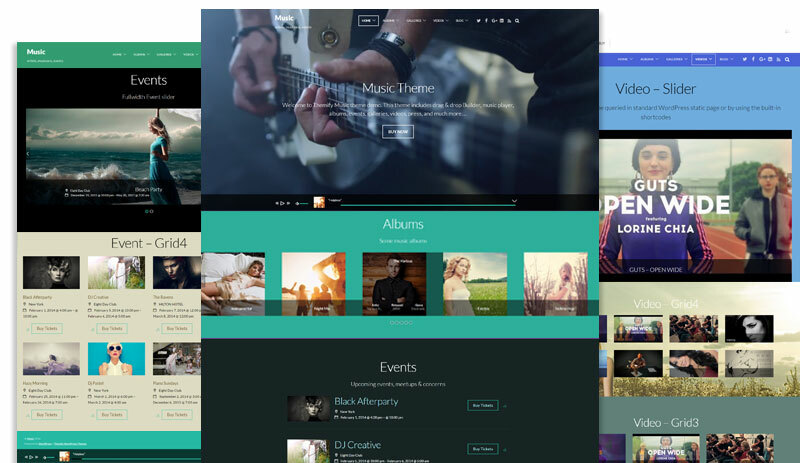 FWRD is an audio theme aimed at musicians, bands and entertainers based on the included Visual Composer and Essential Grid plugins. Aside from core features like custom audio and video players, FWRD boasts a modern design aesthetic that is consistent, trendy and centered around bold typography and large visuals. It answers niche needs such as video backgrounds, WooCommerce support and events management, scaling beautifully from small one-page sites to large-scale web stores. Motors is probably the most original offering on this list, catering to any project that needs to build out a fully-featured auto or sports catalog or virtual showroom. 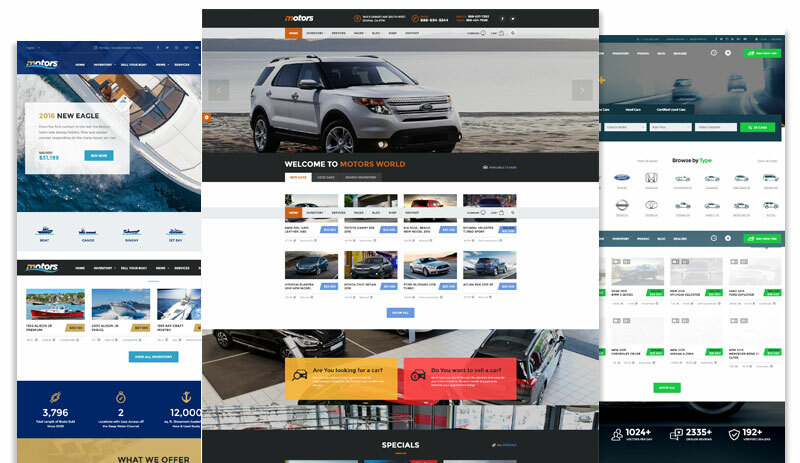 It is truly the most advanced and comprehensive car dealership WordPress theme on the market. Features include classified listings, sellers and dealer membership and review, and full integration of WebManager, an inventory management and marketing platform powered by AutoManager. It accepts existing database import via XML or CSV to speed up conversion, is optimized for search engines and provides all the front-end flair and user experience you would expect from a high-end dealership or sports show production. Choosing a theme can be difficult, especially with the current trend of Visual Composer integration and multi-purpose features. Sometimes less is more – if a theme has more features than you need, find one that fits just right to ensure better performance and customization experience. Below are a handful of critical elements to look for when evaluating themes to ensure they offer the absolute best functionality, are easy to customize and can stand the test of time. Clean, current and semantic code – this one is the most overlooked and can really ruin your day if done poorly! Transitional – how easy will it be for your content to be adapted to a different theme or theme version in the future? The visual appeal and user experience offered by your website has an immediate and lasting impression on your visitors. Whether you are a professional blogger, entrepreneur or artist, presenting your content in the best way possible shows you care about your business. I want to add one more Real construction based WordPress theme named RealConstruction. This theme includes several features such as fully widgetized home page, integration with unique animations and sliders. Thank you for the recommendation :) We had to go with rankings and other factors, not our own opinions, so there may be some themes that look better, but for whatever reason it did not make the list – this one was released very recently so doesn’t look like it has had enough time to generate enough ratings or reviews etc. What about X Theme or Divi? 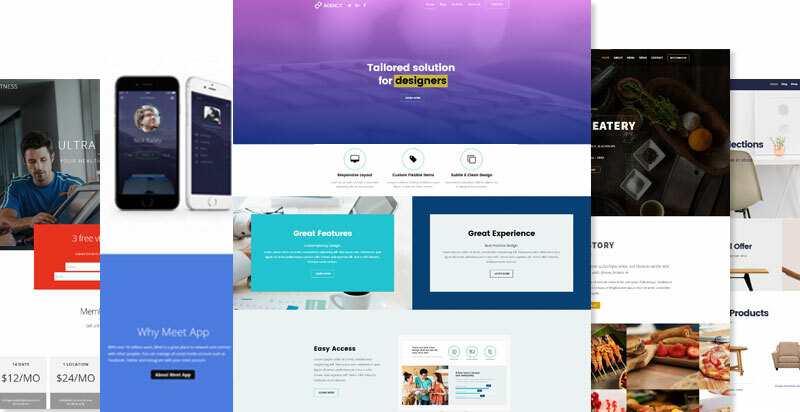 These were compiled based on the statement in the intro “which embody critical elements like usability, performance, consistency and, of course, beautiful design.” and are themes released in 2016 which have a high user rating and high sales point in their respective marketplaces to determine a consensus – anything else would be pretty subjective. I recently bought The Gem Theme and it is the best theme I have used as far as creativity, support and design since I have been using WP for the last 4 years. I bought a second after completing my first project with it. The developer added his own custom visual composer elements. The WordPress themes started looking the same and I found this one to be somewhat ahead of the curve. The demo comes with loads of slider revolution pre built sliders that are awesome. I normally do not use demo content and with this theme I did. The themes listed above are extraordinary and good..keep posting in this blog..
Great article to end the 2016. The best theme for me this year is “Fevr”, because of it is simplicity but certainly a chic one. We make website also, I have tried some of those already. Fantastic site. Lots of useful information here. I’m sending it to a few buddies ans additionally sharing in delicious. I am too looking for the best WordPress themes but particularly related for blogging niche. I have gone through the traditional blogging themes so far but not yet ended in choosing one. Your suggestion will be appreciated in that. 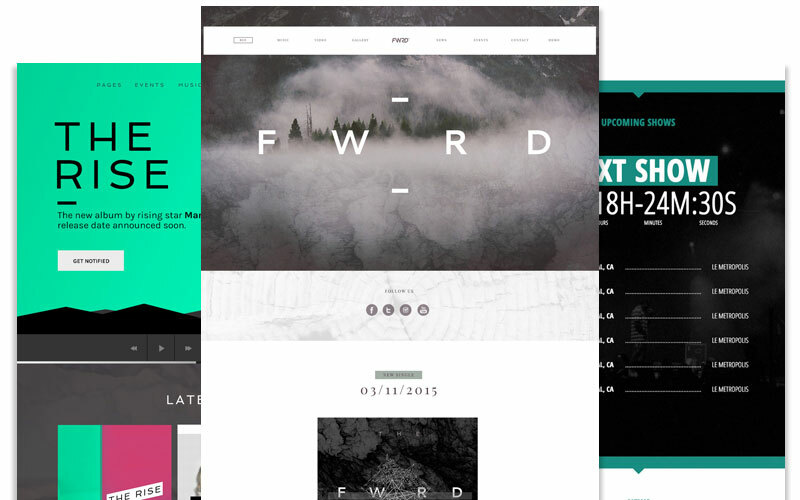 The best and most popular examples of WordPress blog themes you can find here.